Dwight Baker is the third president of Baker Publishing Group, following his father, Richard Baker, and grandfather, Herman Baker, who founded the company in 1939. Dwight joined the company part-time while attending college and became art director after his graduation from Calvin College. Since becoming president in 1997, Dwight has facilitated growth in a broad range of publishing categories, including the launch of Brazos Press (1999) and the purchases of two competitors – Bethany House Publishers (2003) and Regal Books (2014). Today, the company operates from publishing offices in Michigan and Minnesota. Continuing the retail tradition established at its founding, the company operates Baker Book House, located in Kentwood, Michigan. 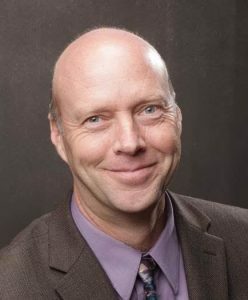 Dwight has served as Director/Board Chairman for Evangelical Christian Publishers Association and two non-profit organizations, Theological Book Network and the Land Conservancy of West Michigan. He does not golf, tweet, Facebook or watch television.